Amanda Dahan Stanton, popularly known as Amanda Stanton is an American TV personality, blogger and an actress. At present she is 28 years old and a single mom. Her appearance in 20th season reality TV show, The Bachelor. Amanda Stanton was arrested for domestic battery. She was taken into custody in Las Vegas by Las Vegas Metro Police. According to the police, Amanda allegedly battered her boyfriend. Security at the hotel called them and they had to arrest Amanda for Battery Domestic Violence. The news spread all over the internet. She immediately released a statement saying she was embarrassed with the incident. She also apologized to the LA Police department and the hotel security as well. According to her statement, she just had a few drinks and shoved his boyfriend unintentionally. Amanda was born on April 9, 1990, in Mission Viejo, California, United States. Amanda Dahan Stanton is her full name. She attended Paul Esthetician School in Orange County, California. Amanda was raised with her sister in Mission Viejo, California. Name of her sister is Carissa Stanton. But the names of her parents are still not revealed to the public. Amanda has a very sound relationship with her parents. She claims that she calls her mom several times a day. Amanda started her career in 2006. At the age of 16 years old, she got a role in the movie named The Cheetah Girls 2. The movie was produced by Disney Channel. Amanda played the role of Amy. Following her debut, Amanda got small roles in other movies like Kissing Strangers, Jack's Family Adventure and Mostly Ghostly. Amanda then appeared in the TV show The Bachelor in 20th season only for few episodes. Amanda also appeared in another TV show Bachelor in Paradise. She got engaged with Josh Murray. Few months after the engagement, Amanda was not happy with Josh and she started spreading bad rumors about Josh. It led their relationship to end. 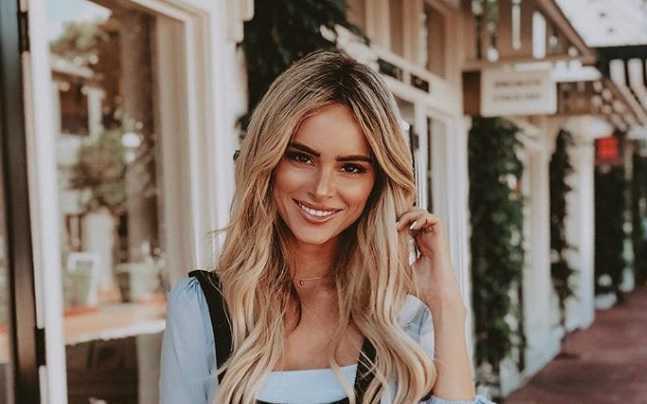 There was also a rumor about their reunion after the announcement that Amanda will appear in the fourth season of TV show Bachelor in Paradise. It did not come out to be true. They are still on bad terms. This summer, Amanda joined another season of Bachelor in paradise. But she became unsuccessful. It seemed Amanda and Robby Hayes had some chemistry. Turns out, Robby Hayes was not really interested in Amanda. Amanda ended show disappointed in men. Amanda got married at the very young age. Amanda was only 22 years old when she tied a knot with Nick Buonfiglio. They have two daughters. They are Kinsley and Charlie. But their marriage did not last more than 3 years, from 2012 to 2015. Nick and Amanda started to stay separate since 2014 and their divorce was finalized in 2015. Nick is funding Amanda for their child support. Amanda is criticised by public form leaving her children for reality shows. But she always claims that she is a great mother to her kids. She also claims that she has been doing everything for her children though herself being a single mom. Amanda always spends her free time with her children. Not only with her children, Amanda also has a good relationship with her sister Carissa and her mother. She says she calls her mother often, several times a day. Amanda earns from reality TV Shows, endorsements and from her blog as well. In addition to this, she also receives child support from her ex-husband. Salary earned by Amanda is not revealed yet. At present, the net worth of Amanda is estimated to be around $100,000. Amanda started her movie career with The Cheetah Girls 2. Amanda has small roles in other movies like Kissing Strangers, Jack's Family Adventure and Mostly Ghostly.